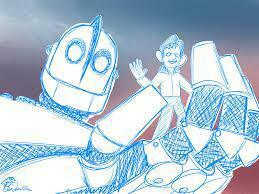 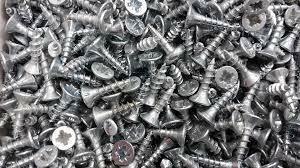 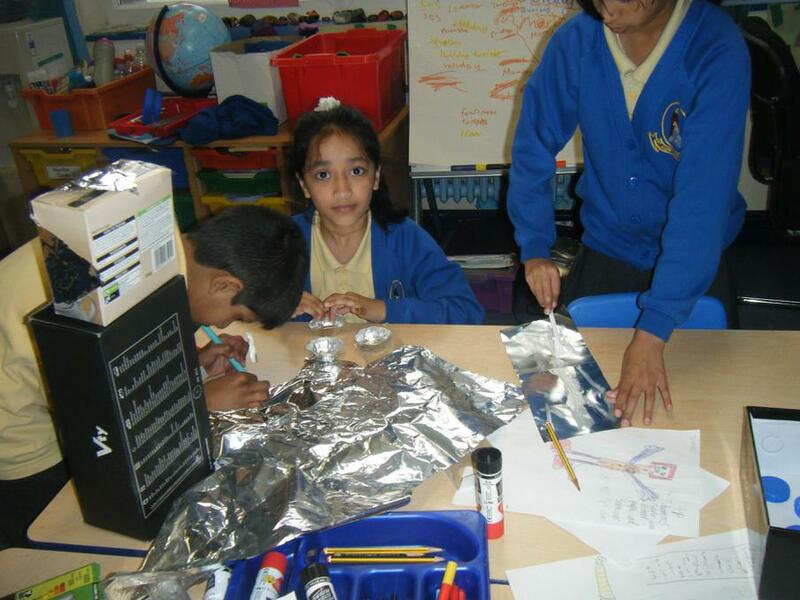 This term we will be learning about Mighty Metals! 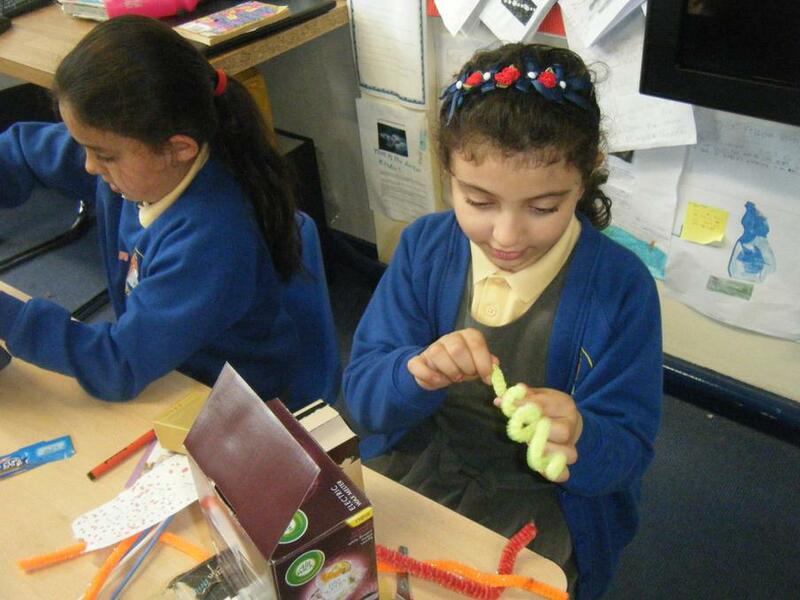 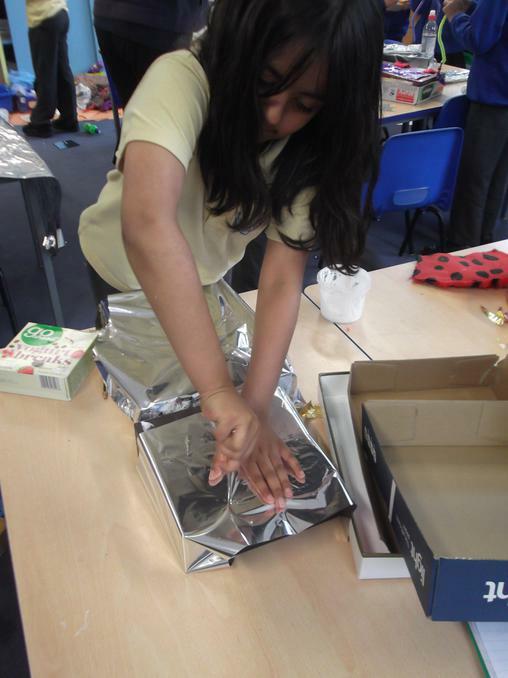 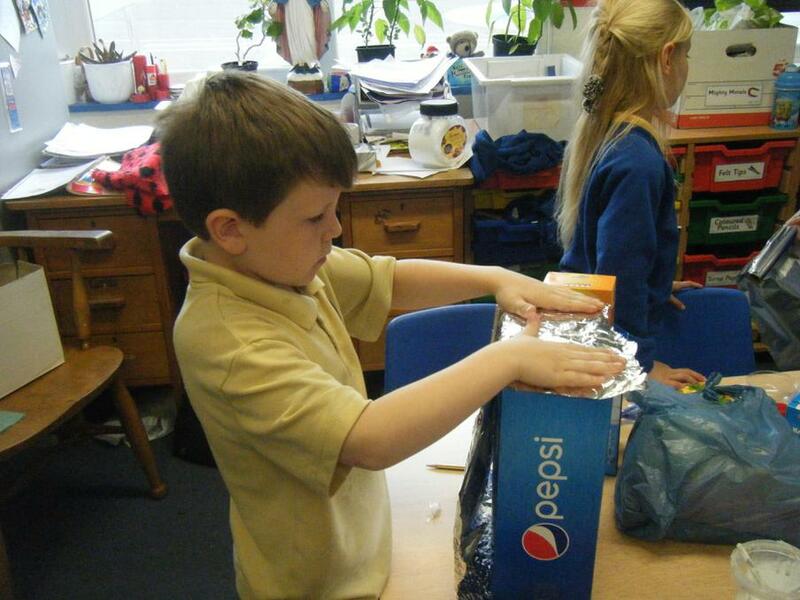 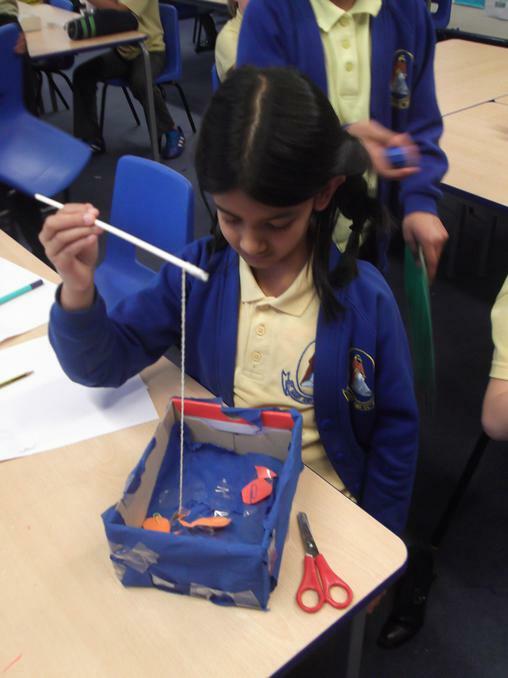 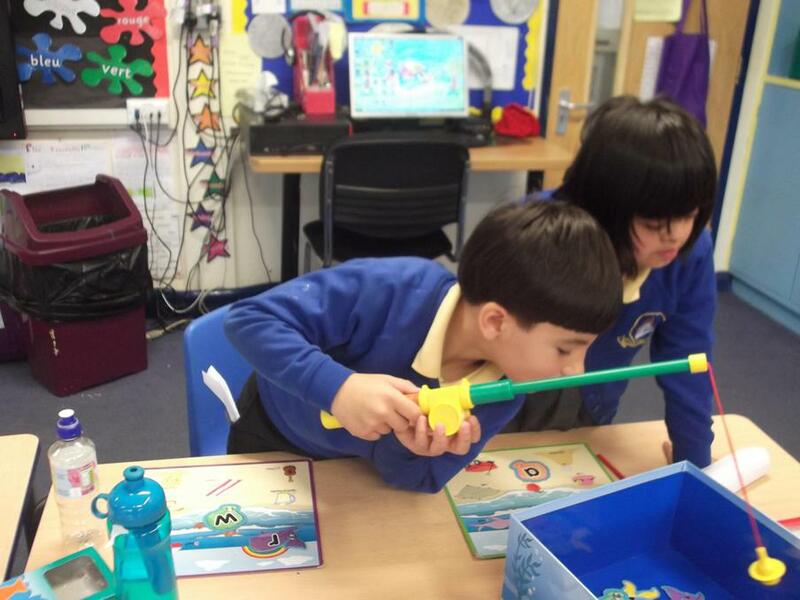 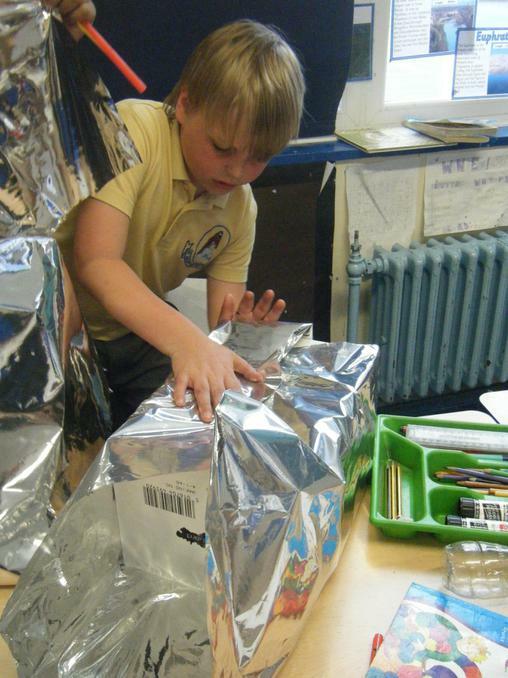 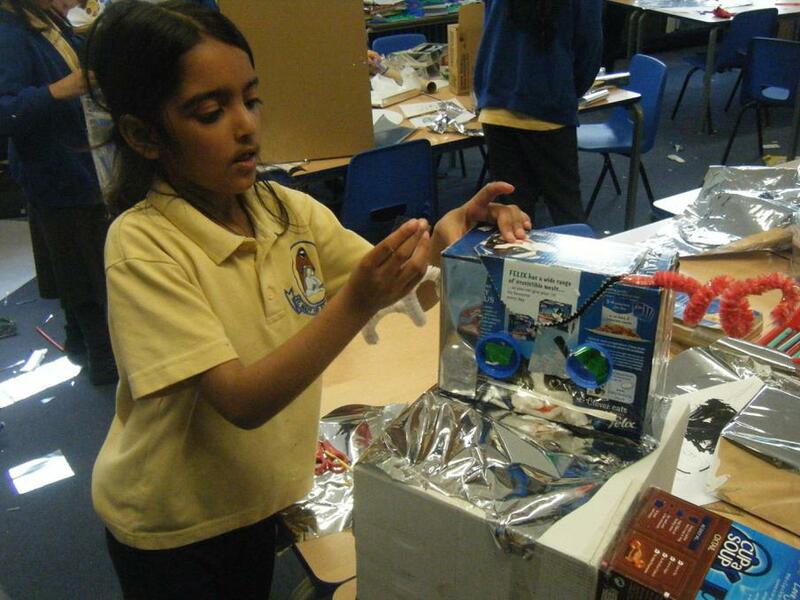 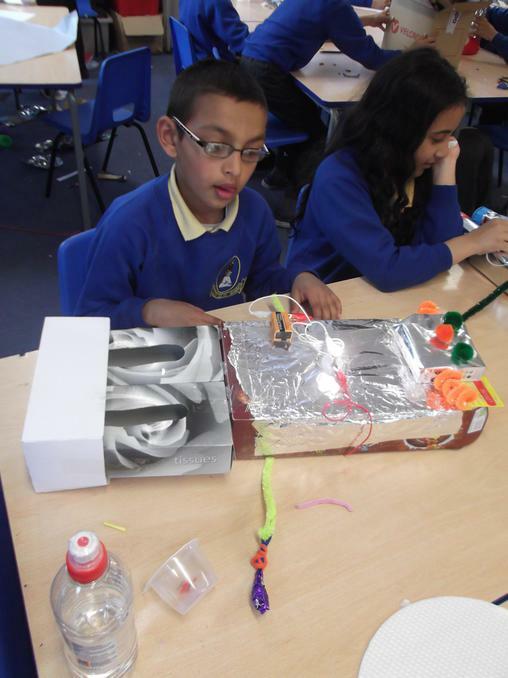 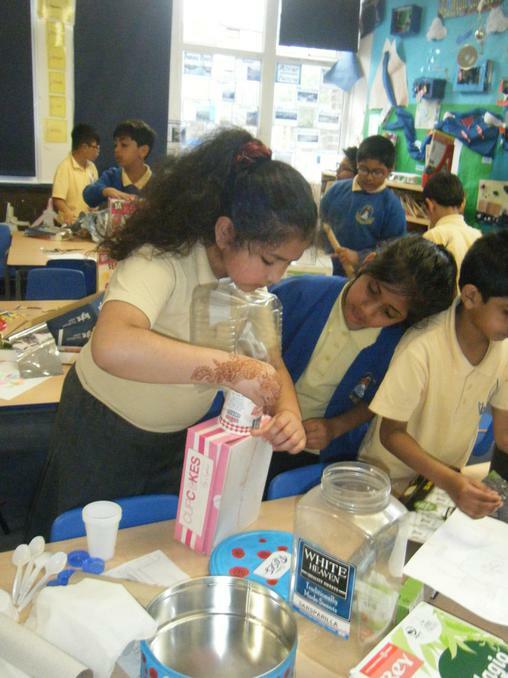 We will be exploring the different world of forces, magnetism, metals and materials. 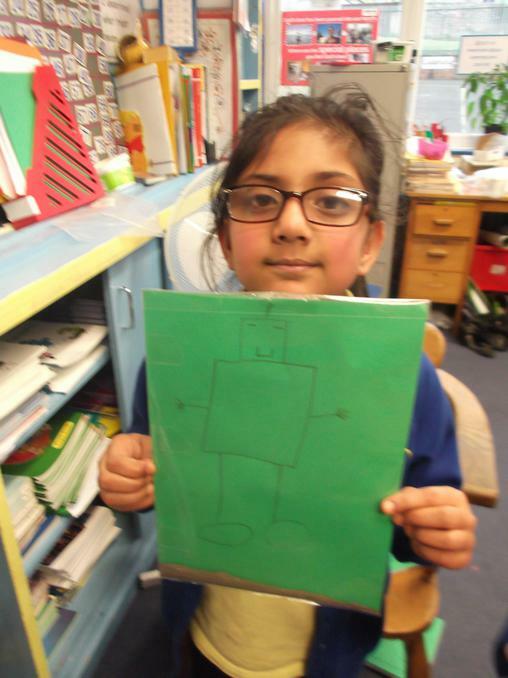 We will be reading the Iron Man by Ted Hughes a book about an iron giant who searches for his body parts after falling off a cliff. 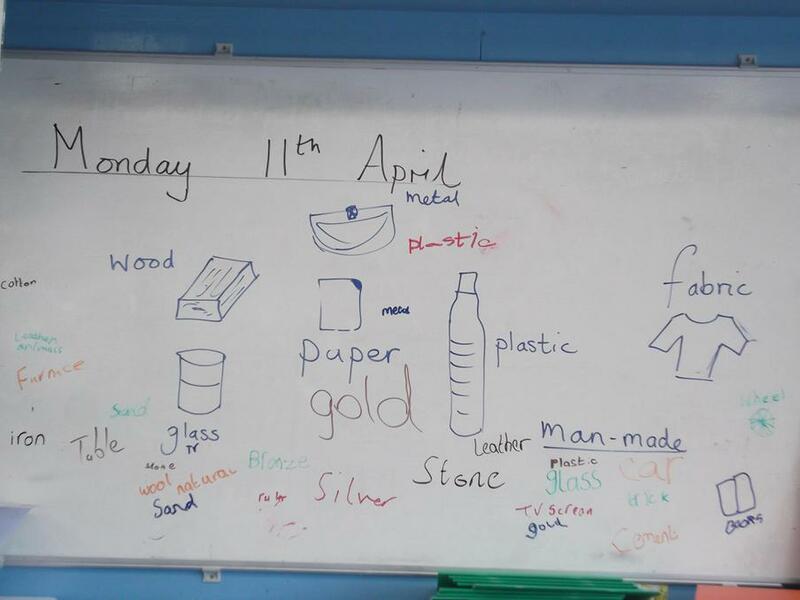 We started this topic by doing a mind map about everything we know about materials. 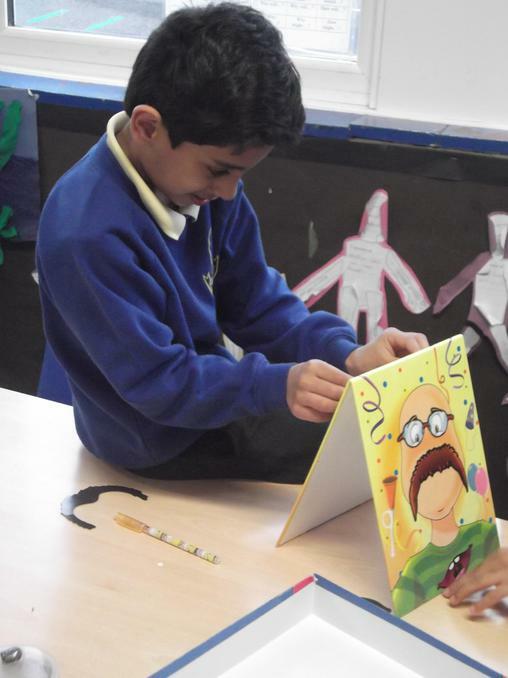 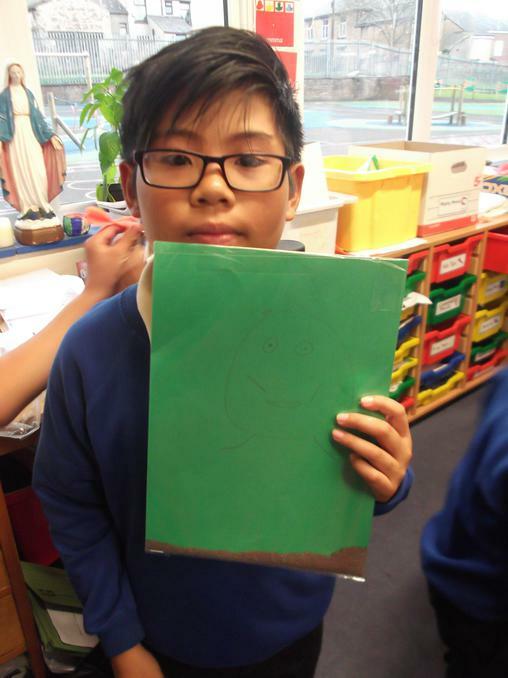 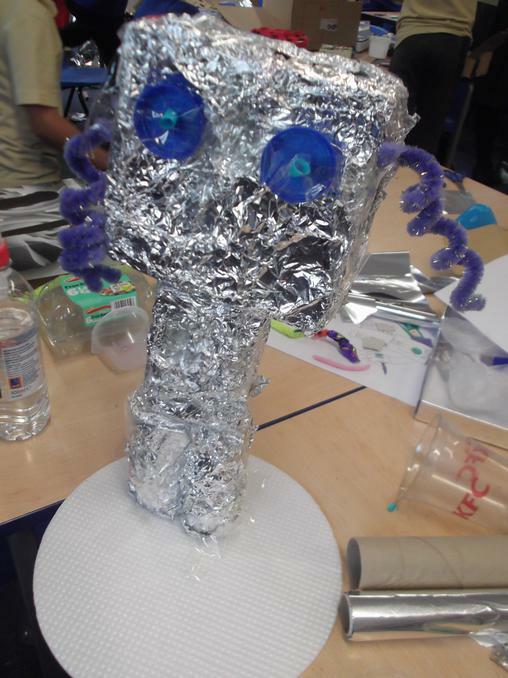 The children were given a challenge to create a face or a person. 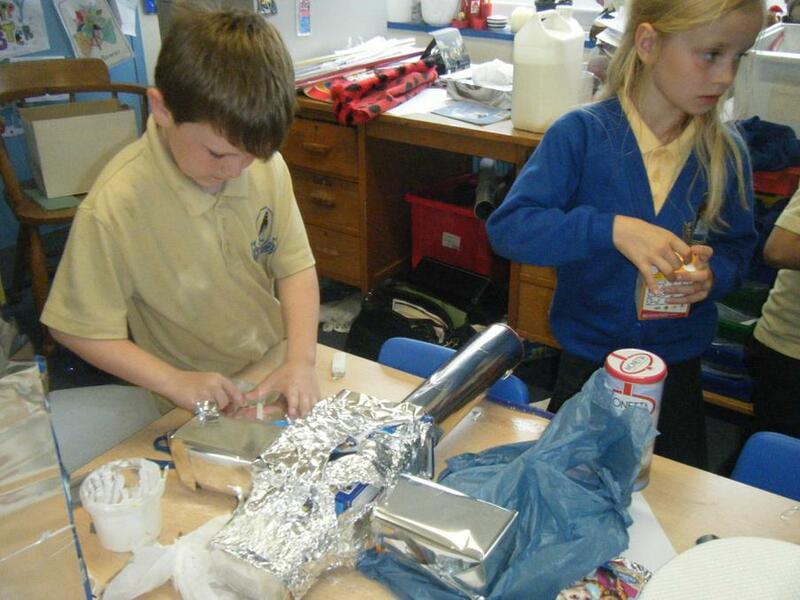 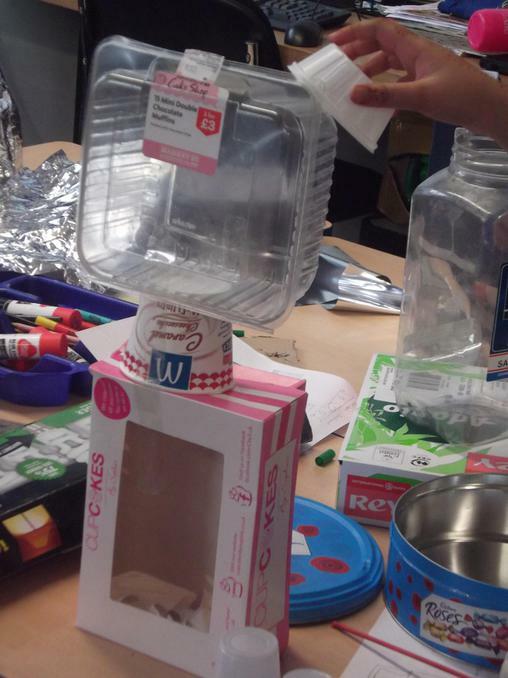 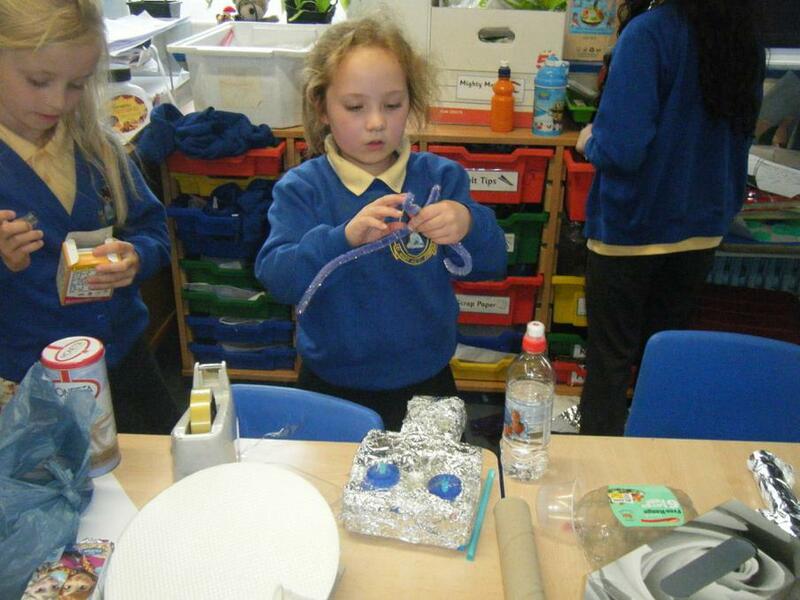 Each table was given different materials which were was given plastic, paper, metal, wood and fabric. 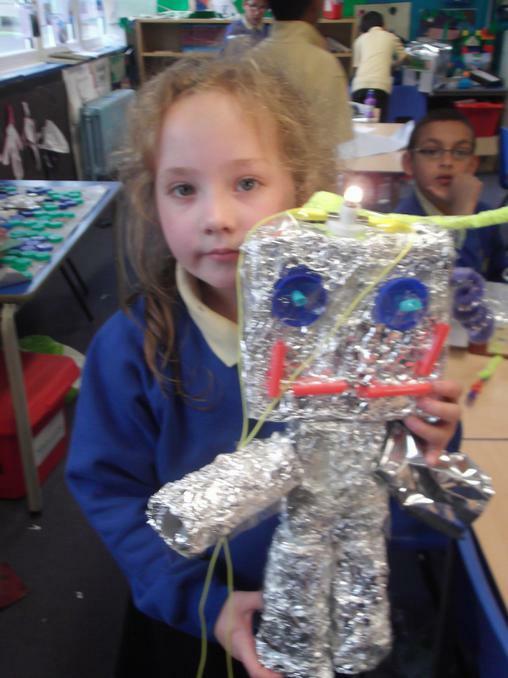 Take a look at our faces and people made from materials. 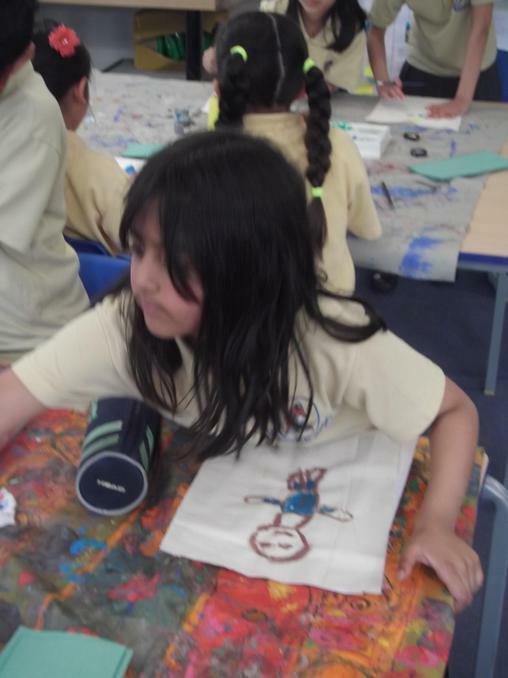 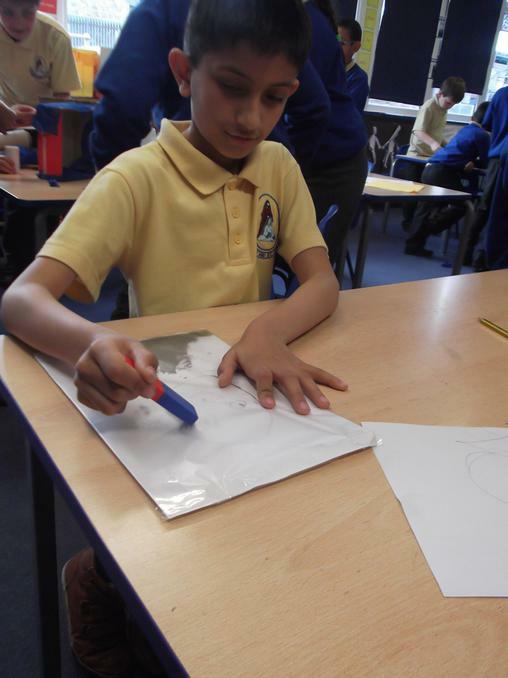 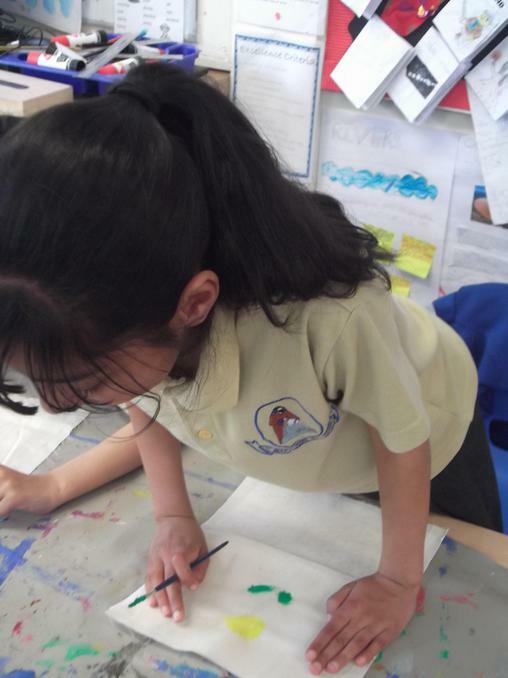 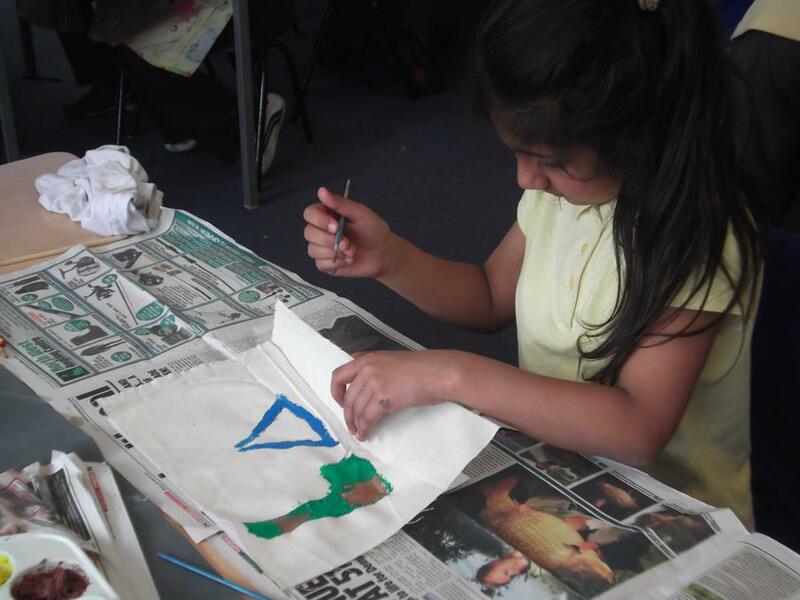 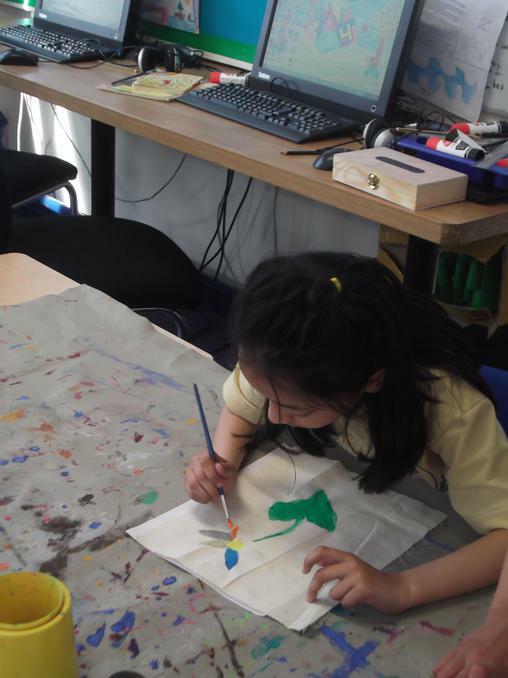 In art we experimented with printing using paint, we used junk materials to create different effects. 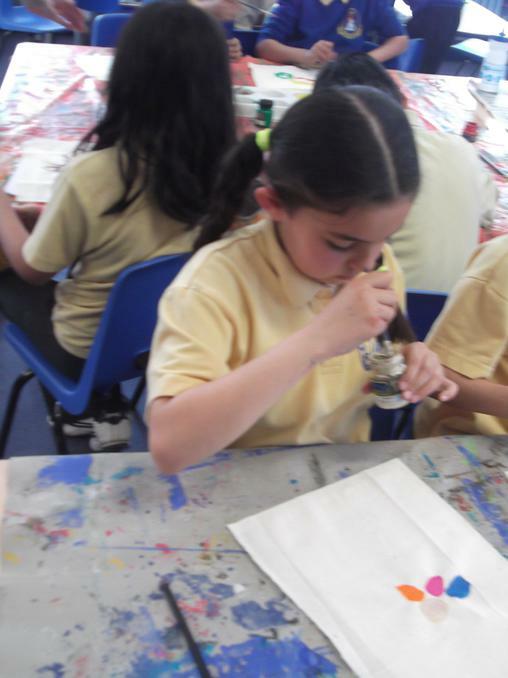 After that, we used dye and printed on material, have at our prints. 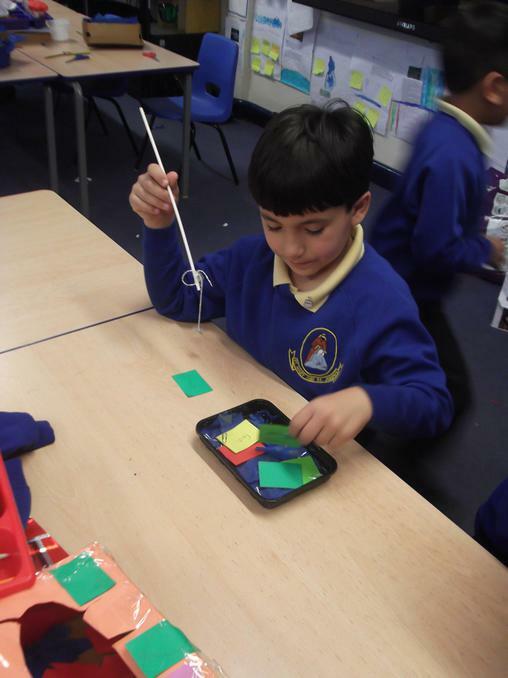 This week we experimented with tie dye, firstly we tied elastic bands around a piece of white material, we did this a few times and made sure the bands were tightly tied, so no dye could get through. 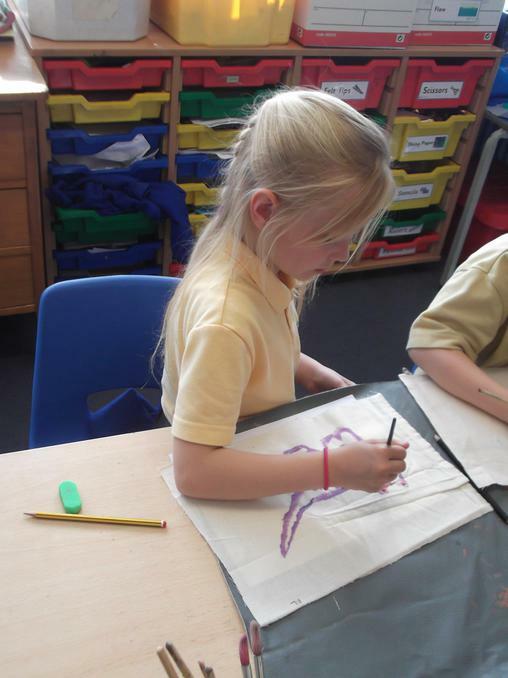 We then dyed them and left them to dry. 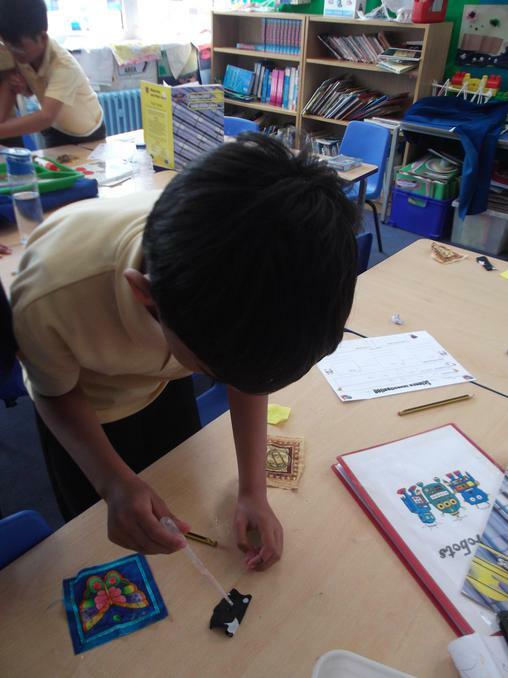 Have a look at the patterns we created. 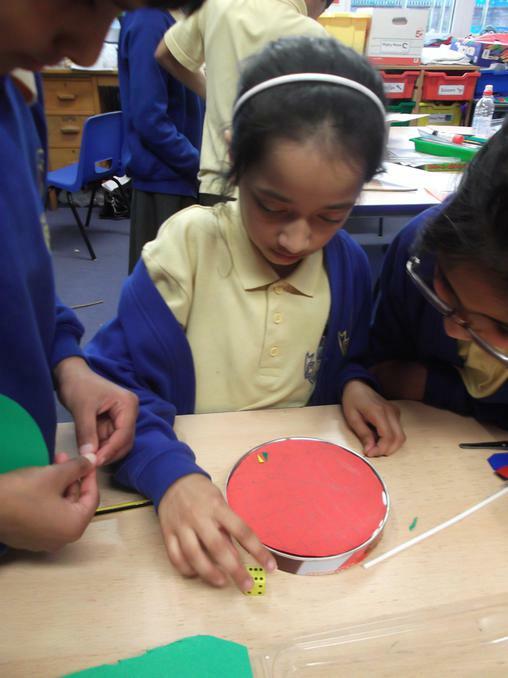 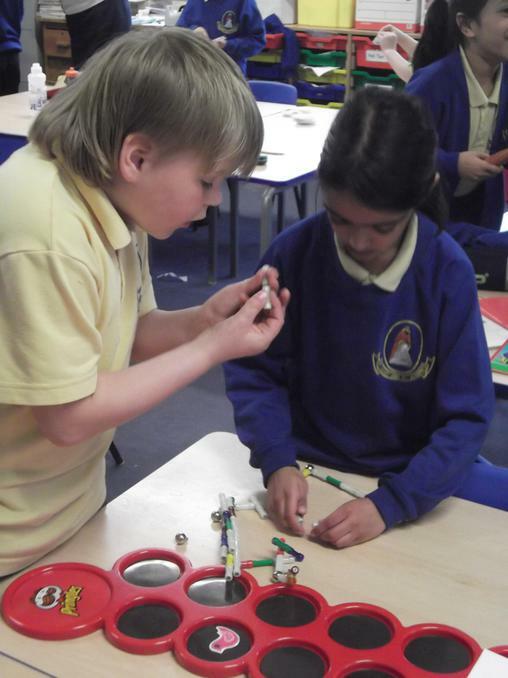 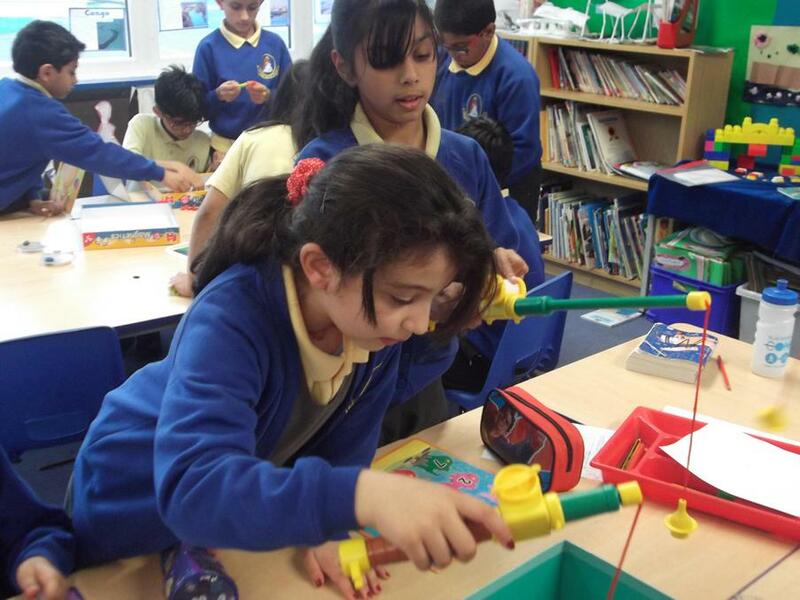 In the afternoon the children experimented with magnets, they learnt opposites attract and the same poles repel. 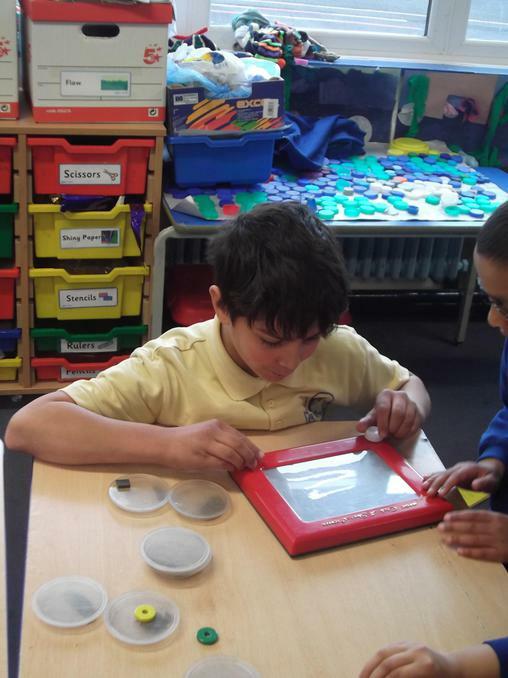 We experimented with magnets by testing different items. 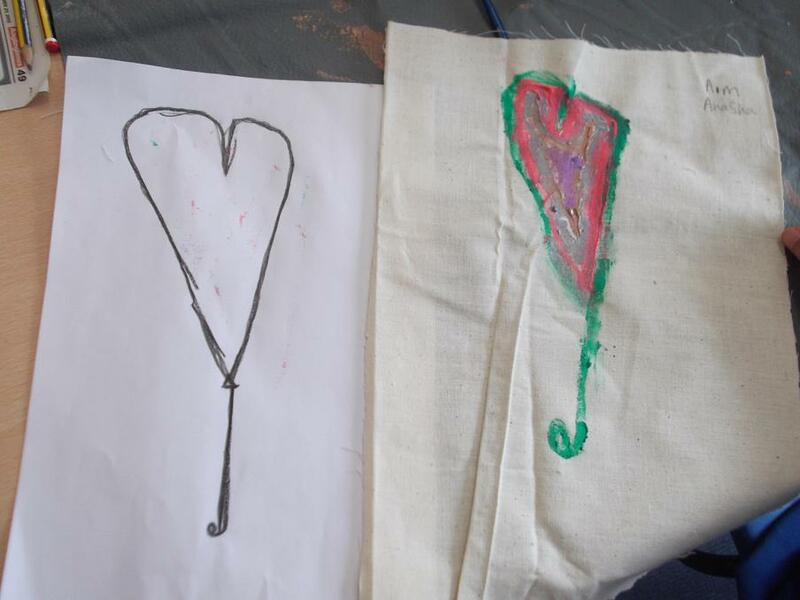 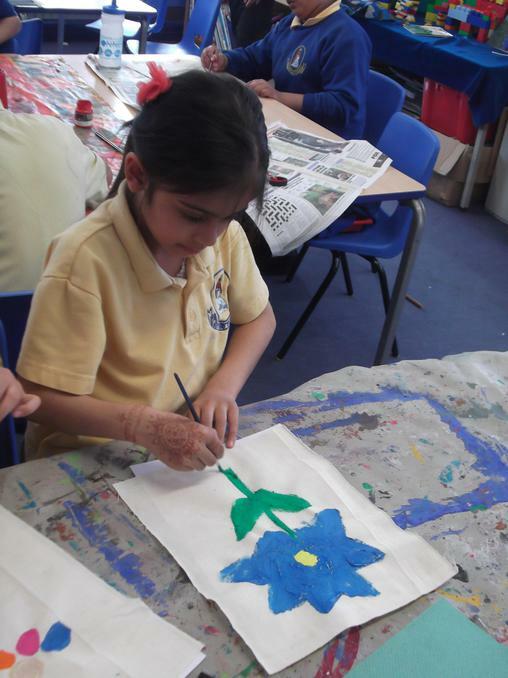 In the afternoon the children took part in fabric painting. 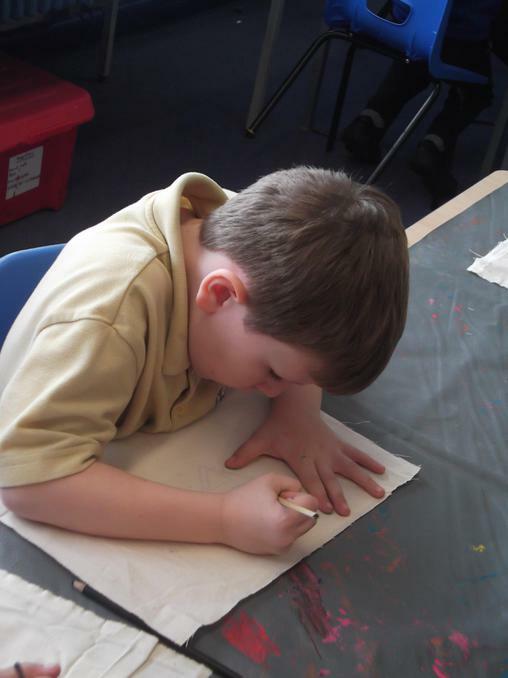 They thought about what picture they would like to draw, they then drew it on a piece of paper and then went over it with a black crayon. 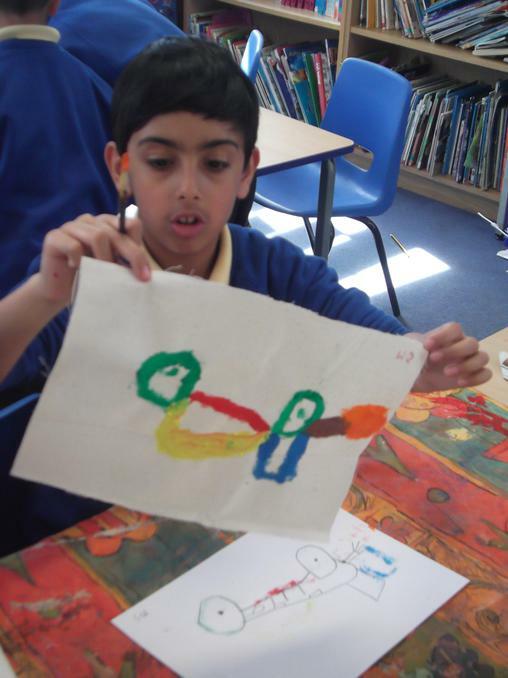 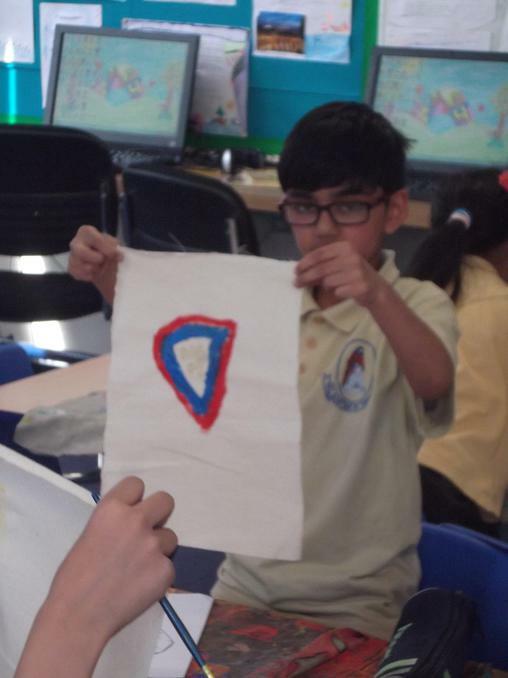 After that, we placed the piece of paper underneath a piece of fabric and painted using fabric paints. 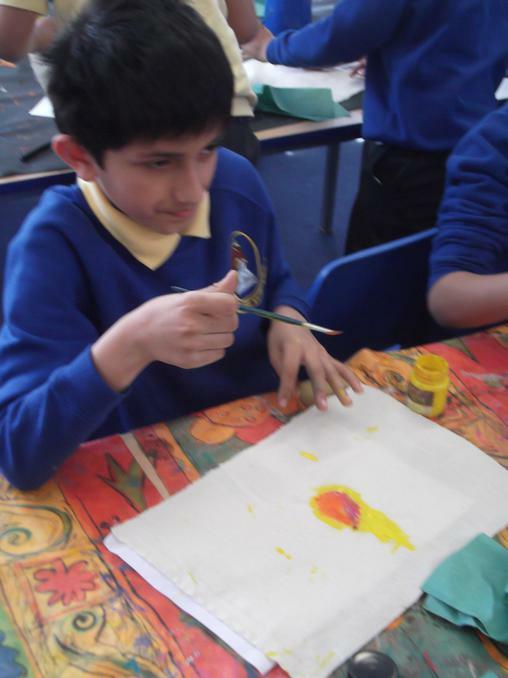 Once the paint was dry we added a few pieces on by sewing on some stitches like running stitch, cross stitch, daisy stitch and sewing on a button. 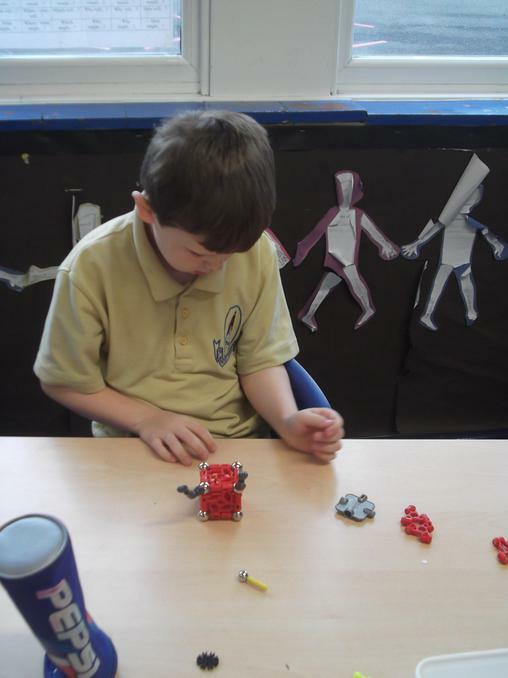 In the afternoon we thought about how magnets are used, in particular how they are used in games and toys. 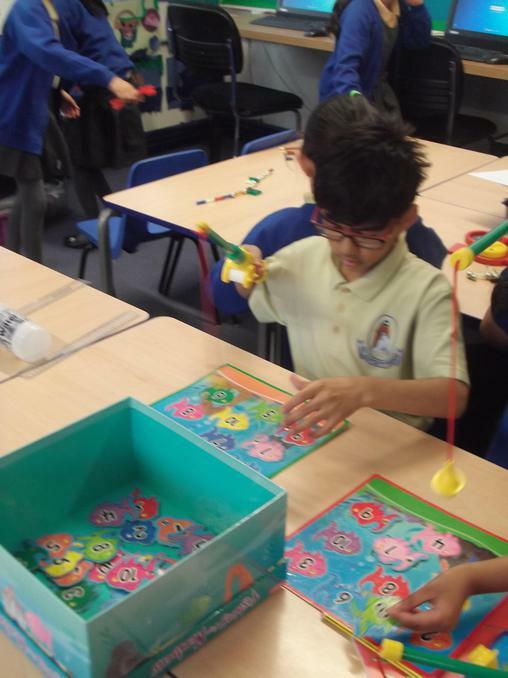 and a magnetic face game. 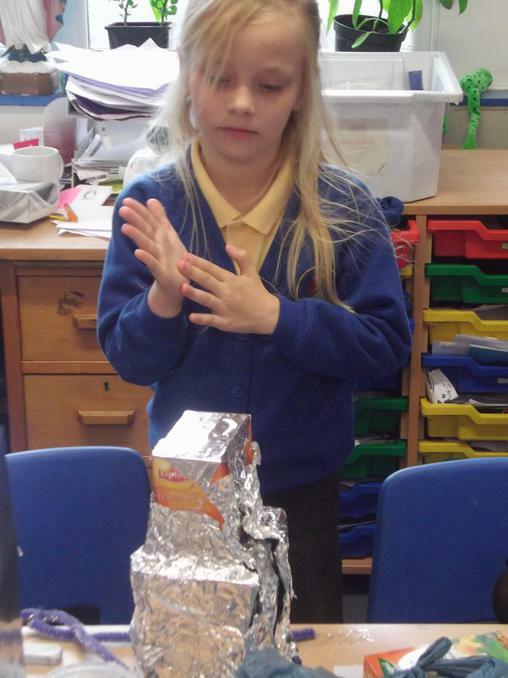 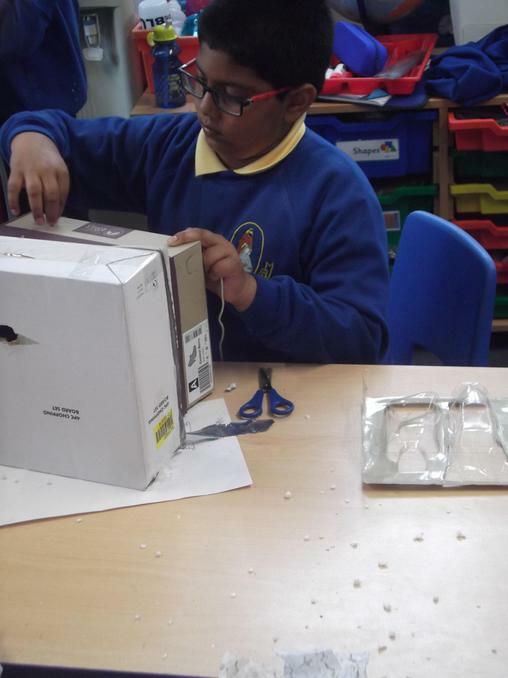 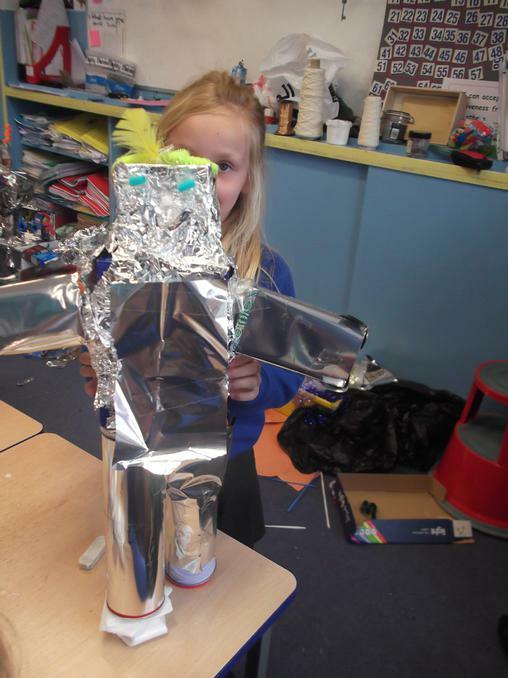 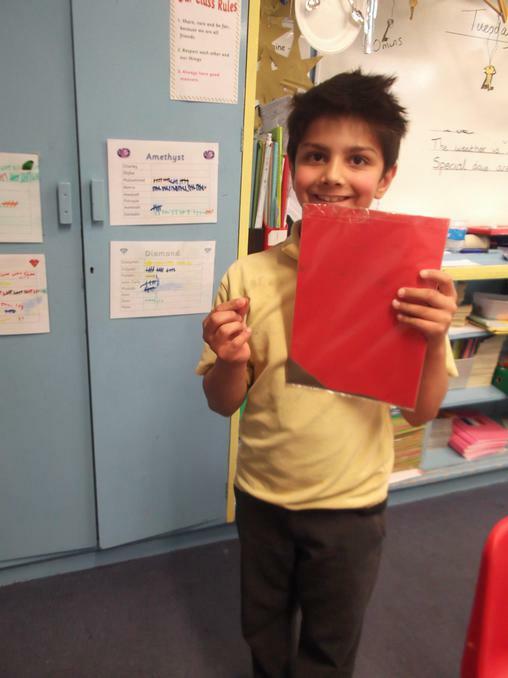 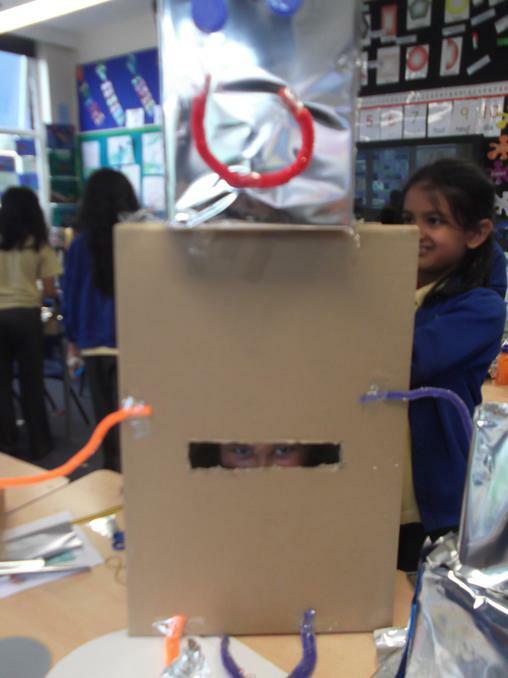 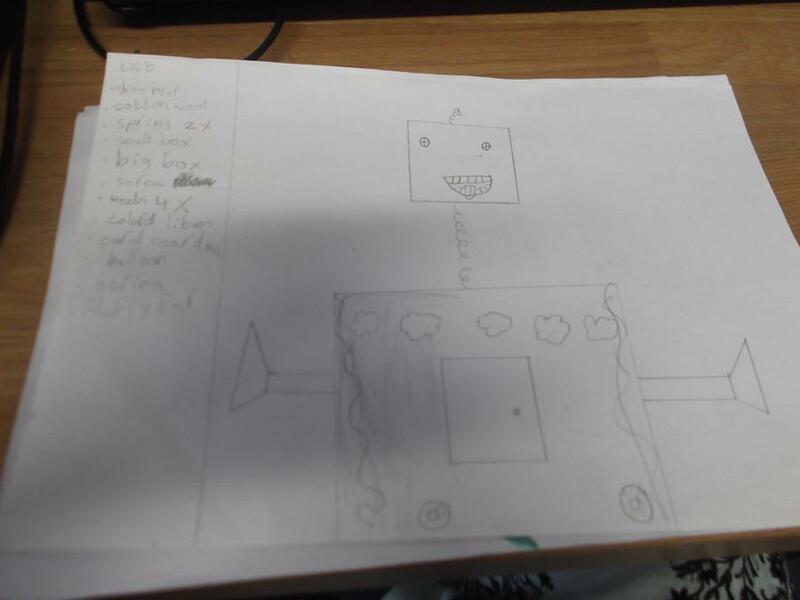 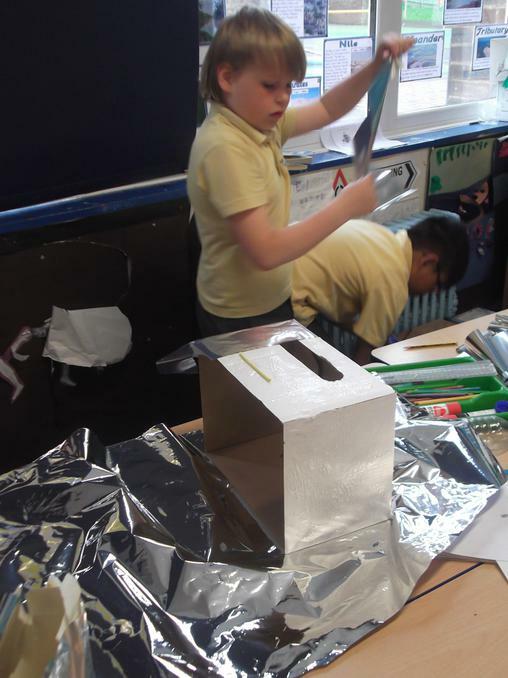 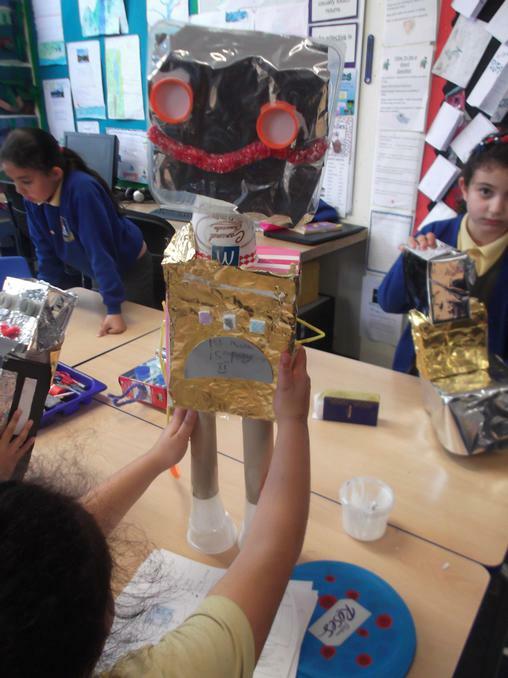 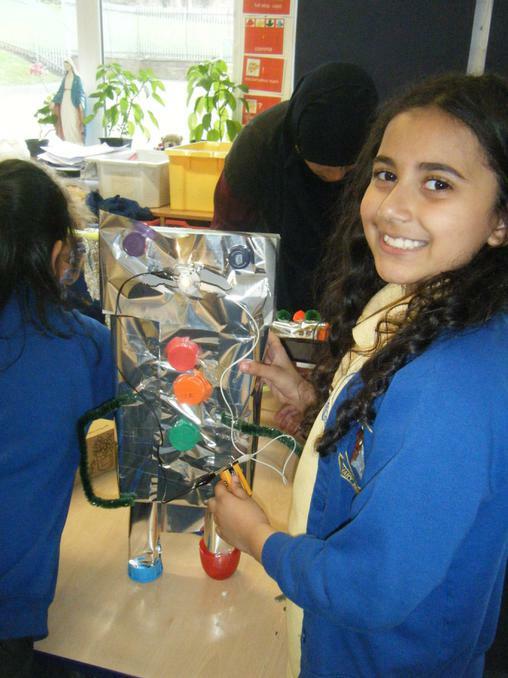 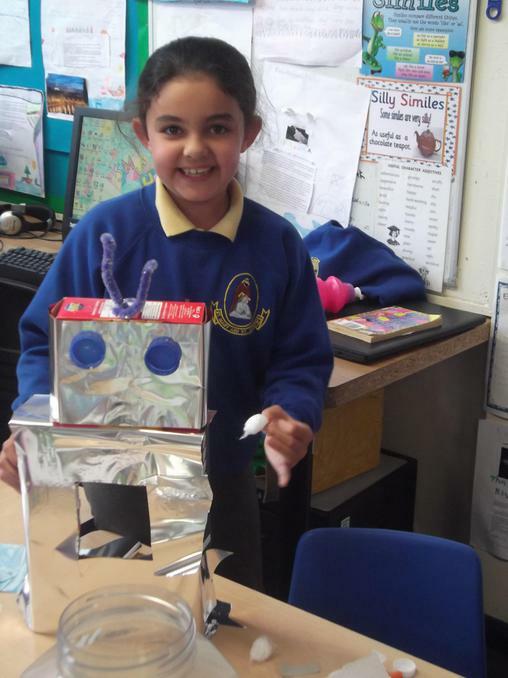 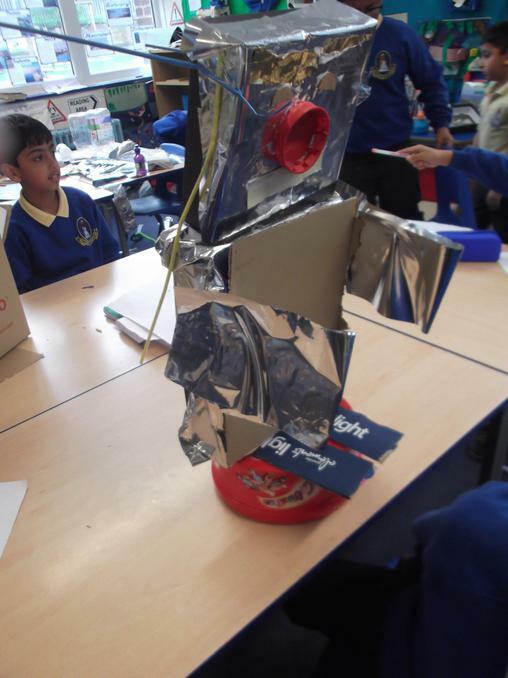 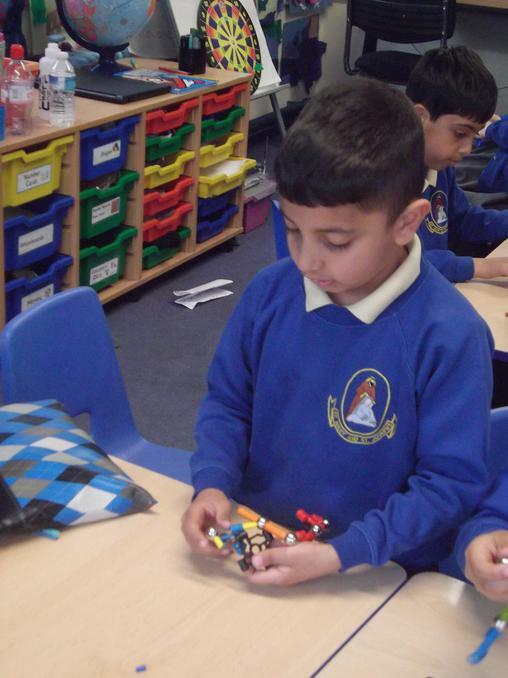 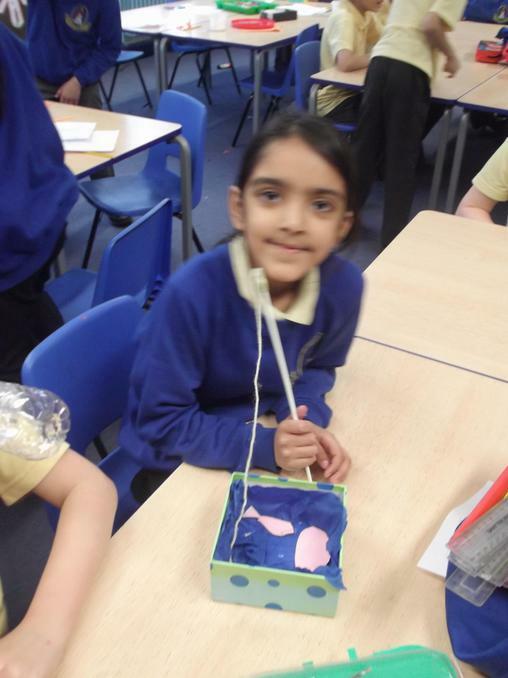 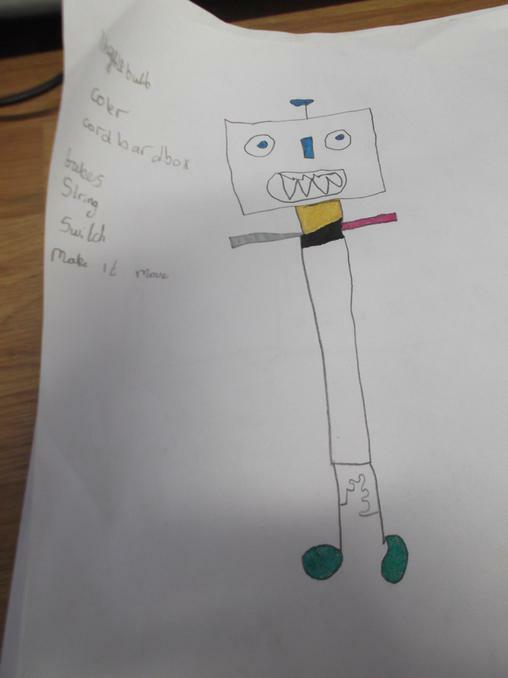 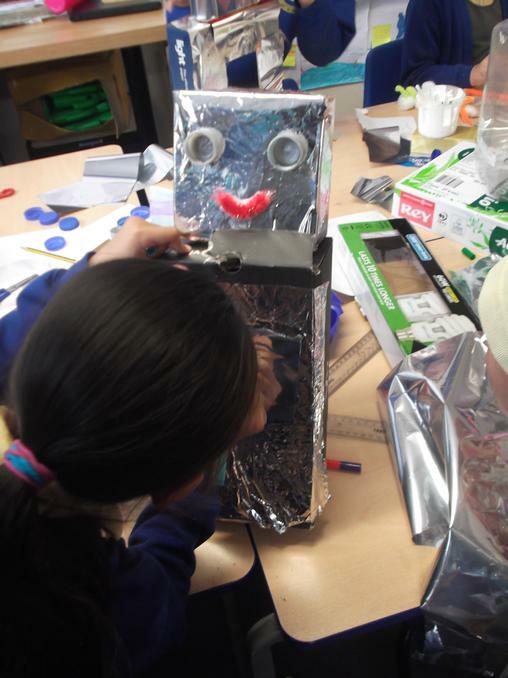 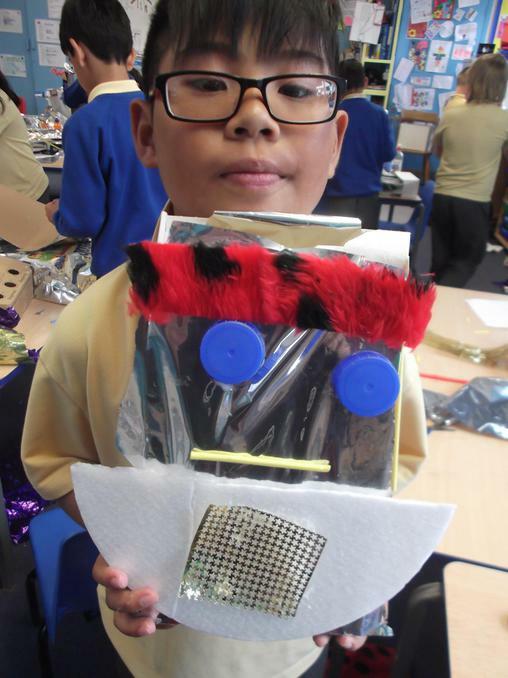 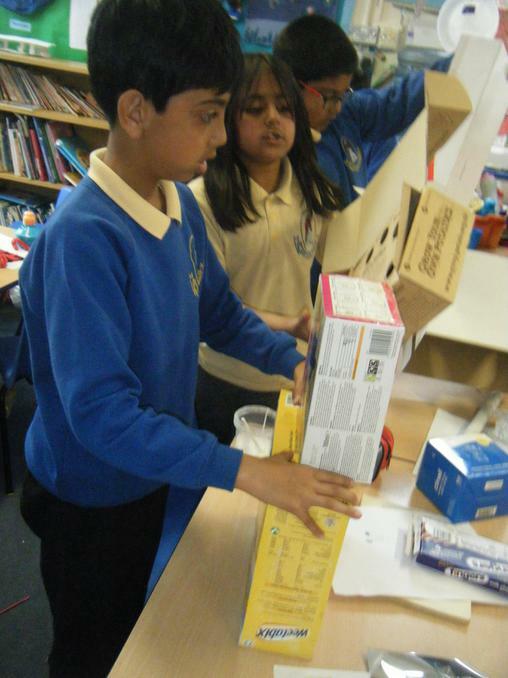 We have designed a friend for The Iron Man, we thought about what it would look like and how we could make it move or light up. 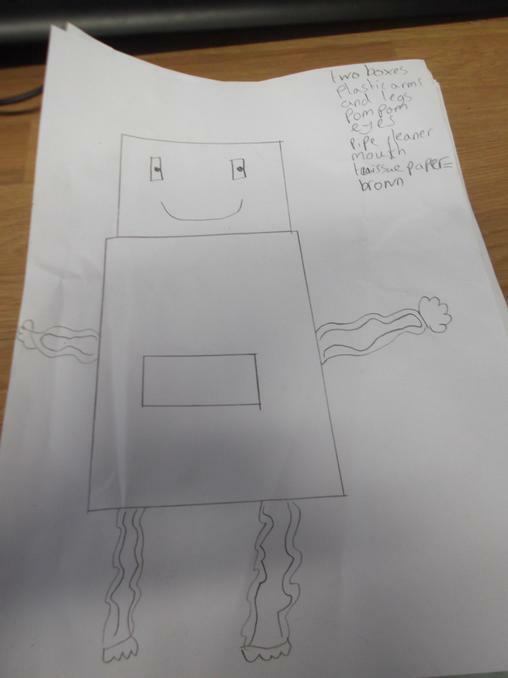 We drew our design and wrote down everything we would need to make a friend for The Iron Man. 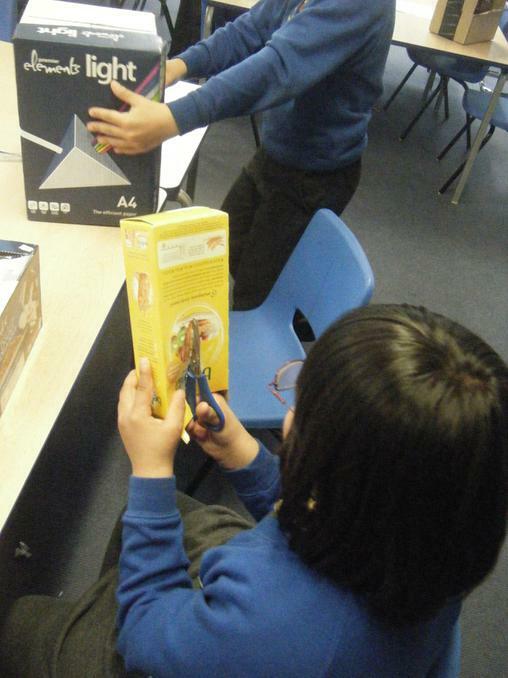 Year 3 have been learning about fair tests, we know that everything stays the same except one thing. 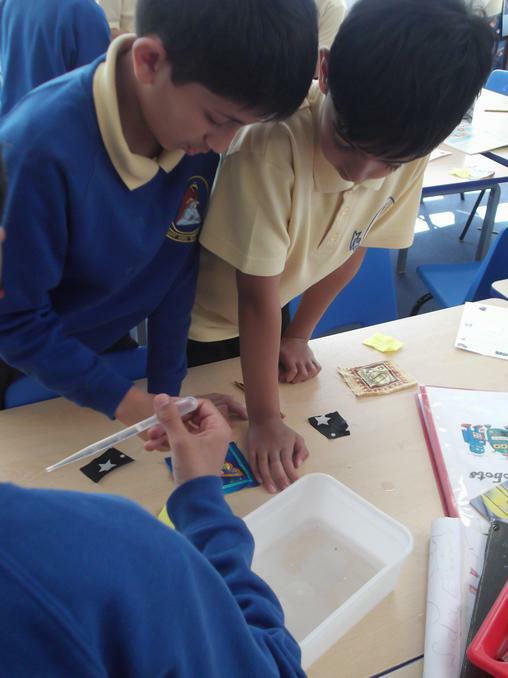 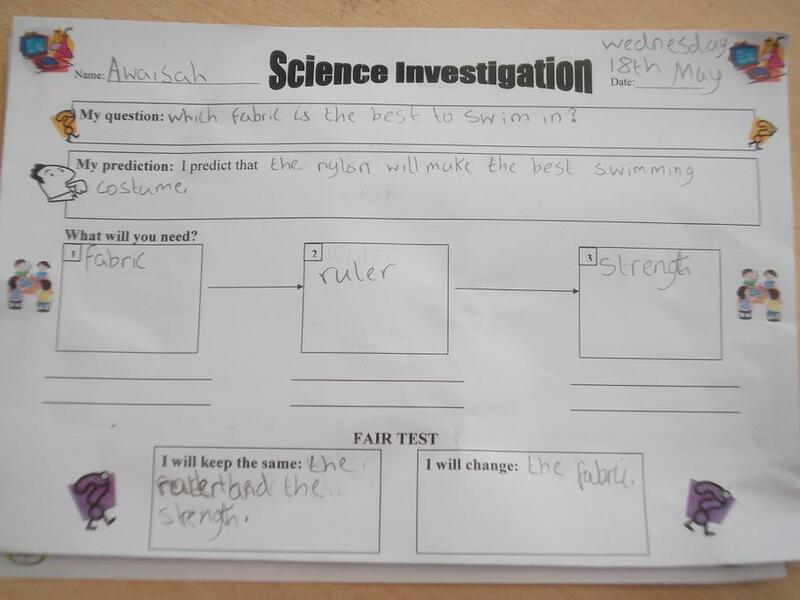 Their challenge was to test which fabric would be best to swim in, would it be nylon, felt or cotton? 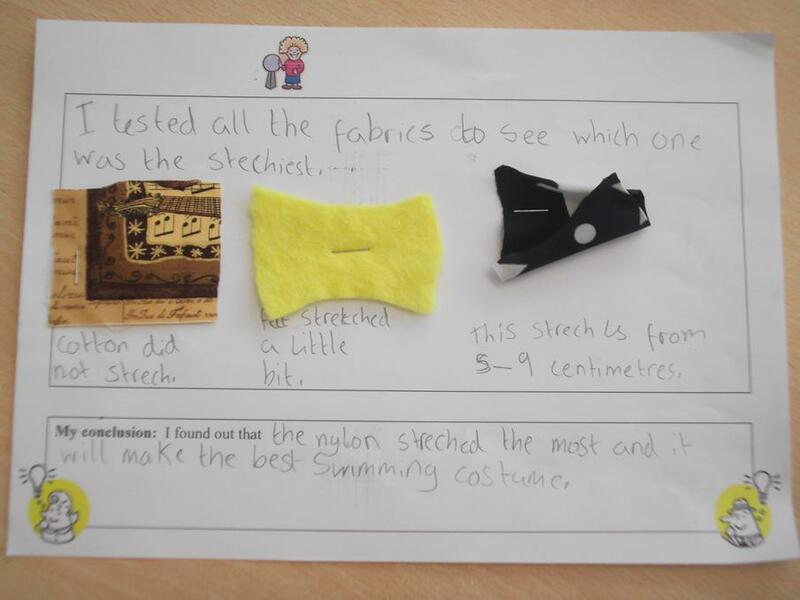 They test how stretchy the fabric is, how long it takes to dry and how waterproof the fabric was. 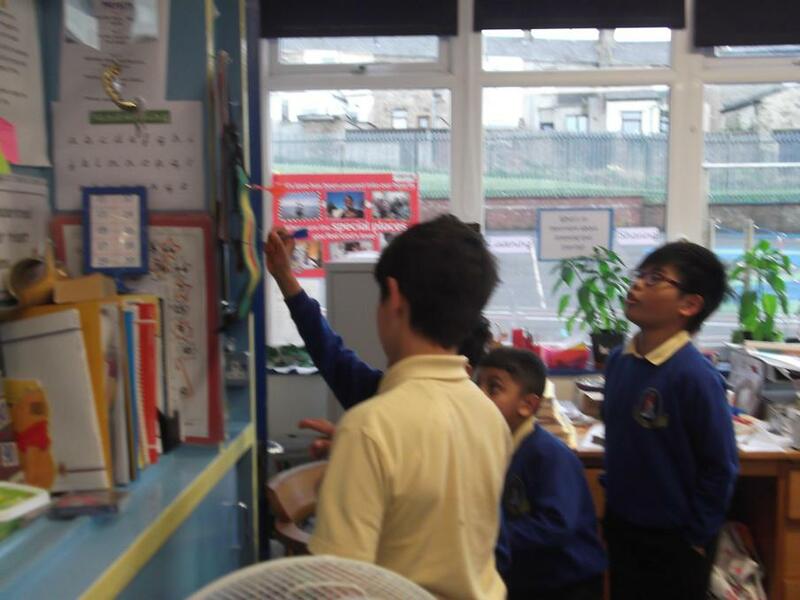 After our experiment we recorded our results.